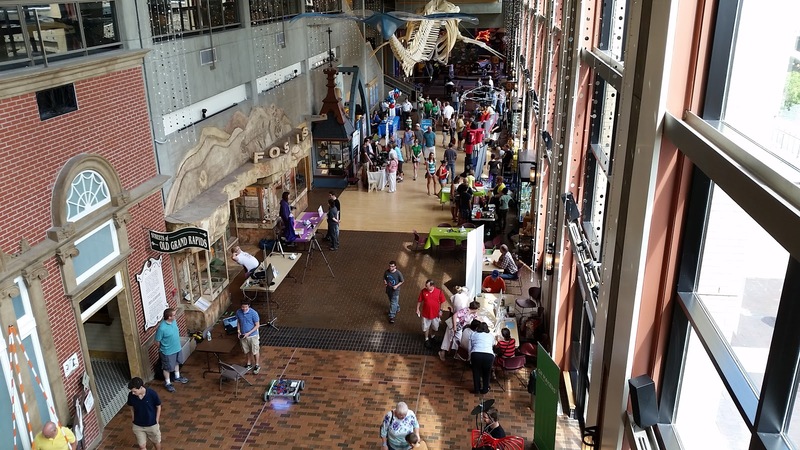 We stopped in at the Grand Rapids Public Museum for the Grand Rapids Mini Maker Faire. It was a nice show for the first year. They had a lot of tables with 3D printers set up and examples of different things you can print with different filament. 1978/365 - Adam and Comfort! 1973/365 - An Artprize Installation? 1967/365 - Yes, Tasty Dark Chocolate, You Do. 1960/365 - Comfort and Adam Visit!